Located in the Hoang Lien Son Mountains of north-western side of Vietnam, Sapa is a small town famous for its green rice terraces, mountainous landscapes, waterfalls and ethnic tribal culture. On the list, Sapa in Lao Cai province is followed by Hitachi Seaside Park in Ibaraki (Japan), Koh Lipe in Thailand, Las Lajas Sanctuary in Colombia. 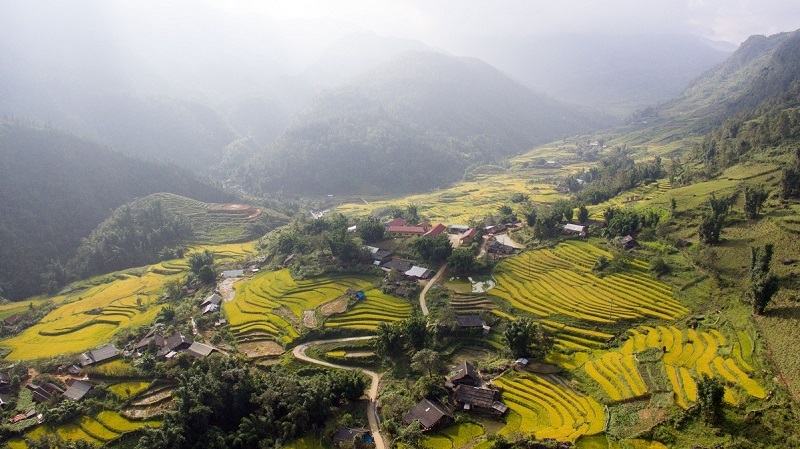 Earlier, Skyscanner, a global metasearch engine, has just named Sapa in Vietnam the number one place among six “New Year, New You” end-of-year winter destinations for a fabulous escape that won’t burn your pocket. “The coldest period is from December to January. You can use the “Find flights for the whole months” in order to find more affordable round trip tickets. You’ll arrive in Hanoi and from Hanoi to Sapa you will take the bus or an overnight train to Lao Cai before continuing on to Sapa on the bus with spectacular views on both sides of the road to keep you entertained,” Skyscanner wrote.